What Unis 669 can do? How to run Unis 669 from newer hardware? Unis 669 is the first tracker using the Extended 669 Format features, such as including super fast tempo using the effect F0x, stereo balance fine slide to left or right using the effect Gnn, slot retrigger using the effect Hnn, the ability of using samples with frequencies adobe than 44kHZ and also export modules with 44kHZ frequency output rather than the Composer 669's 22kHZ, it is 8 channel digital audio tracker for PC, who also supported samples larger than 64 KByte. It was created by Jason Nunn for the DOS operative system and were last updated in 1994. Unis 669 allows you to use 8 channels to compose and play music on simultaneously, each mod can have up to 64 instruments using a maximum of 1408 KBytes of memory. The mixing and output is done at 44 kHZ. Using Extended 669 Format features. Note that at this date, Unis 669 is the only program that gives you the maximum Extended 669 modules accuracy using the Extended 669 Format features, while Open ModPlugTracker may sound nicier and be over the quality of the Composer 669 and Unis 669 playback, be aware that it does not sounds as near as same. 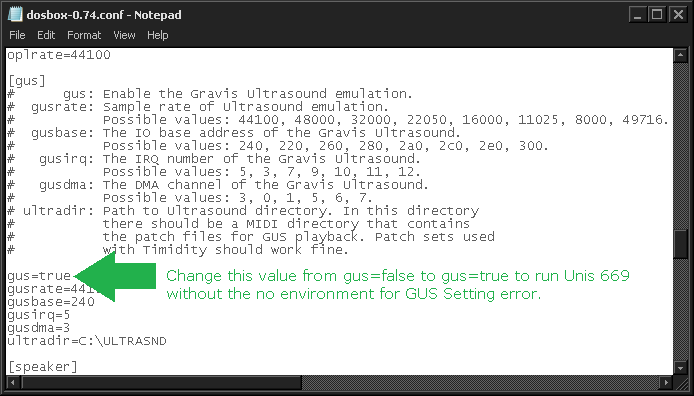 - A Gravis Ultrasound sound card. - An AT class machine with an AT class 101 keyboard plugged in. - A DOS 2.0 as operative system or adobe. The Latest Stable version of Unis 669 is v1.10, which is also the latest version released. - Unis 669 Download links from ModLand FTP repository. You can run Unis 669 on any machine that can run DOSBox, FreeDOS or MSDOS from 2.0 to higher. Error: Your Environment settings are not there or incorrect. Please read "Installation & Start Up" in the user manual. 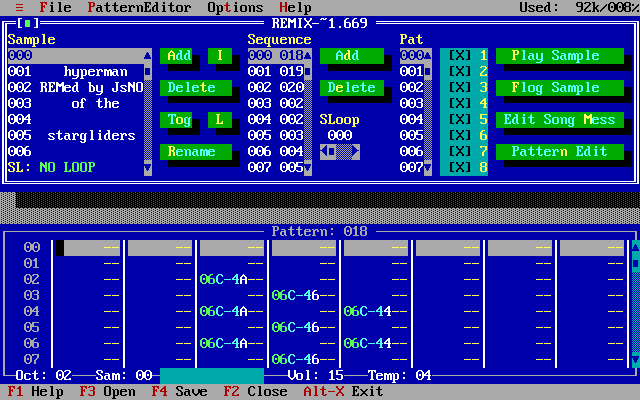 This is fixed by enabling the gus boolean found on the DOSBox configuration under its [gus] label, you can edit this configuration executing the batch file called DOSBox 0.74 Options.bat that appears on the DOSBox root directory when you run DOSBox for the first time. - How does your DOSBox's configuration file should look like after applying this fix. - Gravis Utility Software and Drivers. - Unis 669's Module music from the ModLand FTP repository.